I have Crohn's Disease which is in remission- just diagnosed with Rheumatoid Arthritis and was told that my vitamin D level is 8 (don't know name of blood test). My Dr. prescribed one 50,000 units of vitamin D per week. Is this too much and could boosting vitamin D intake have a positive effect on the RA. The dose that your doctor prescribed you is the 'standard' dose for Vitamin D Deficiency and is perfectly safe- although with a Vitamin D level of 8, it's likely to take you a REALLY long time in order to correct your deficiency and to get your Vitamin D Level up into the researcher recommended optimal range. So, it would be safe and likely more effective for your doctor to give you 100,000 per week for the first couple of weeks, or even to give you 600,000 IU's all at once. And YES that is absolutely and completely safe. Doctors even treat children with rickets with one large dose of 600,000 IU's. But what you SHOULD be concerned about is that your doctor is giving you a Prescription for Vitamin D. Here's a great article on whyYou Might Want to Think Twice about Taking Prescription Vitamin D. It is really simply not the best choice and you may want to consider taking Vitamin D3 Supplements instead. As far as Vitamin D helping with your Rheumatoid Arthritis, I actually answered that to some degree on this Rheumatoid Arthritis and Vitamin D Page. But what you should REALLY wonder is why you now have TWO autoimmune diseases! Doctors don't discuss WHY you might have these problems, but I do. 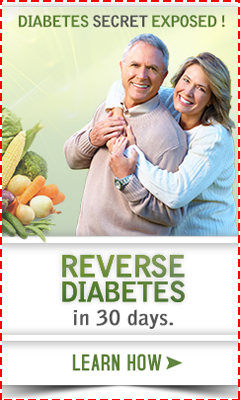 Have you ever considered that you might have Gluten Sensitivity or Non Celiac Gluten Intolerance? There are some researchers and doctors who believe that the underlying cause of ALL autoimmune diseases is Increased Intestinal Permeability, and the most likely cause of increased intestinal permeability is gluten intolerance! Hope that this answered your questions. just been told have osteoporosis following severe wrist fracture, bone crumbling during surgery to screw plate in. aged 48 post menopausal, hysterectomy aged23. vitamin d test through the floor so low. gp prescribing two meds. first two tablets for 5 days then once a week. second to start daily after 3 days of the first tablet. any insight into treatment would be helpful. would the very low vit d account for me feeling low, tired, difficulty sleeping without waking in sweat, fatigued, bones aching, joint and muscle aching, feeling flu like a lot of the time. You do not say what your 'meds' are. I 'think' that you mean Prescription Vitamin D, but I'm not sure. 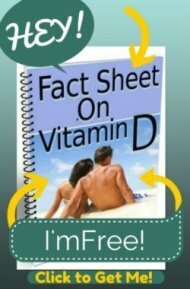 If so, please read the page above and also the page on Vitamin D Therapy to answer your questions about dosage. And yes, I have MANY MANY pages on Vitamin D and Fatigue, just look around the site, it's a major contributing factor. And with osteoporosis, you need to be very serious about paying attention to your magnesium intake- especially with such a low vitamin d level, and be SURE to read my page on Magnesium Dosage and get the right amount. It's not CALCIUM that you need, it's Vitamin D and Magnesium!